Dramatic with a bold stance and a commanding presence, Bel Air’s exaggerated scale and confident style projects a ’60s promise of a future of limitless innovation in a bold new world. 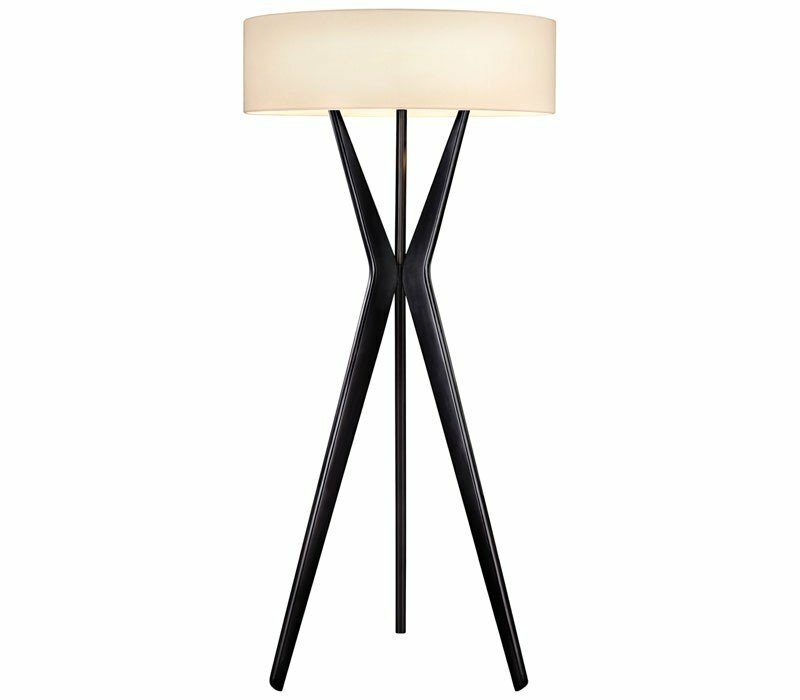 The Sonneman 6152.25 Bel Air collection Floor Lamps in Satin Black use Incandescent light output and bring Modern style. This item is 70"H x 32"W. The wattage is 300. The Sonneman 6152.25 requires 3 bulbs (not included). Additional Information: Shade-Off-White Linen Shade; Control-Rotary Dimmer.